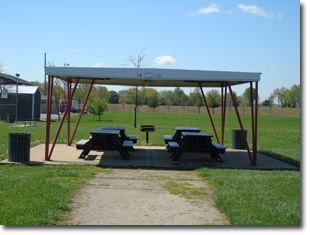 Pavilion #14 is also located on the west side of the Park close to the Skate Park and ball fields. It has 4 tables. There is a playground and restroom close by.